What is the future for Finnish forestry? How will the Finnish forest industry look in 2025? Will we even refer to it as the forest industry, or will it be known as the bioeconomy? Or will it go under the name of the bioforest industry? The Finnish forest industry has a long history and opinion is certain to be split, particularly over the new names for the sector. Whatever it is called, the forest industry – which currently accounts for approximately 20% of our export revenues and around 44,000 employees – has played a key role in Finland’s success and is sure to continue doing so in one form or another. In terms of providing answers to the question “What is the future of the Finnish forest industry?”, Thursday 16 April 2015 was a fascinating day. Celebrating 101 years since its establishment, the Paper Engineers’ Association for Finnish forest industry professionals organised a seminar alongside its annual meeting. Based on a panel session, participants presented new visions of the industry’s future and discussed its forthcoming direction. Participants in the panel discussion included Erkki Virtanen, Permanent Secretary of the Ministry of Employment and the Economy, Jouko Niinimäki, Rector of the University of Oulu, Ilkka Hämälä CEO of Metsä Fibre Oy, Riikka Pakarinen, Manager of Government Relations and Bioeconomy at the Finnish Forest Industries Federation and Markku Wilenius, Professor at Finland’s Futures Research Centre. The panel was chaired by forest industry professional Rainer Häggblom. The Director General of the Finnish Forest Industries Federation, Timo Jaatinen, kicked off the seminar with a presentation on the Finnish forest sector’s Vision for 2025. Megatrends such as digitisation, urbanisation/the growing middle class, competition for natural resources, environmental challenges and environmental reputation, and the impact of population growth on consumption, served as a prelude to three bioeconomy scenarios: “The bioeconomy is a bubble”, “Timeout for the bioeconomy” and “Evolving forest industry – prosperous bioeconomy”. The last of these presented a vision for an ideal future and will serve as the basis of the Finnish Forest Industries Federation’s strategy. The emphasis of the Vision for 2025 is on sustainability; the bioeconomy will create the conditions for well-being and the use of sustainable solutions related to housing, environmental impact, lifestyles and energy needs. Although the role of services was not mentioned, a higher degree of biomass refining, in the form of new forest industry products, takes centre stage in the vision. This brings us to the question of the importance of services within the forest sector in 2025 and whether business models are still too narrow to meet future needs. The Finnish bioeconomy strategy was presented by the Strategic Director of the Ministry of Employment and the Economy, Sixten Sunabacka. The bioeconomy is one of the priority sectors of the government’s BCD strategy (Bioeconomy, Cleantech, Digital business). The Ministry of Employment and the Economy, the Ministry of the Environment and the Ministry of Agriculture and Forestry were jointly responsible for drawing up this strategy. The bioeconomy is expected to play a major role in the new government programme, which has yet to be finalised. Sunabacka explained the way in which the bioeconomy and the circular economy are mutually complementary and how the effectiveness of the bioeconomy could be developed by increasing the value contributed by the forest industry. However, the volume base must be preserved. 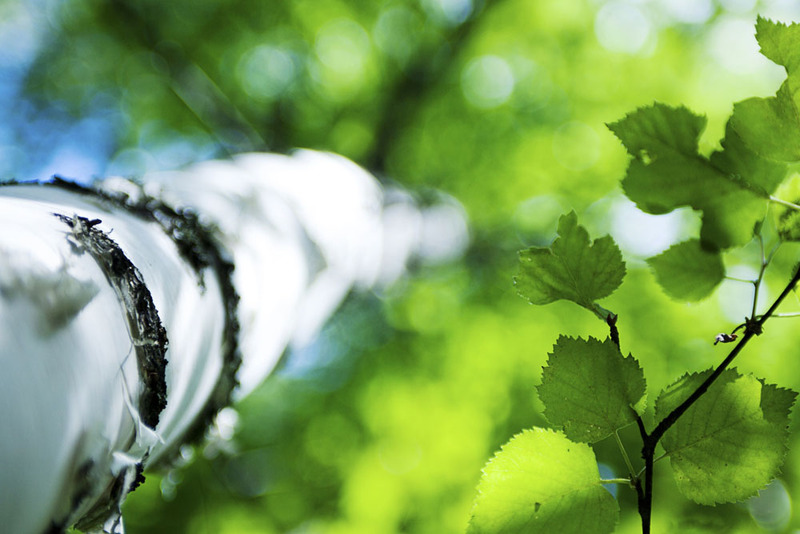 The bioeconomy brings together the forest, energy, chemical and construction industries, and will even embrace the food and textile industries in the future. This will emphasise the role of multi-sector innovation. The lively panel discussion at the seminar was led by Rainer Häggblom, who asked the panellists to name the three cornerstones of a future bioeconomy in Finland. Strategic decision-making, existing infrastructure and high expertise were the most popular responses. The availability of wood, the development of material technologies, abiding by environmentally friendly practices and acting in a market-driven way were also mentioned. Häggblom then asked the panellists what they understood by “added value from the bioeconomy”. Erkki Virtanen emphasised how important it is that the Finnish forest industry moves up the value chain; the manufacture of products lower down the value chain will not suffice. On the other hand, the audience was amused by the following comment by Riikka Pakarinen: “We’ll go up in smoke if we start burning wood chips.” Ilkka Hämälä agreed with Sunabacka that high-value chain products will not suffice unless the industry has a sufficiently broad volume base. Markku Wilenius pointed out that the focus should not be solely on current needs, but also on future demand. By this he was referring to the need for renewable and recyclable materials in the construction sector. At the end of the seminar day, future bioeconomy technologies were introduced at Aalto University’s Department of Forest Products Technology, in an event hosted by Dean Janne Laine on the theme “Aalto University – the driver of the multidisciplinary bioeconomy”. Professors Tapani Vuorinen, Orlando Rojas and Herbert Sixta presented the latest forest industry innovations. The catalytic bleaching technique developed by Professor Vuorinen could save significant amounts of energy and chemicals and shorten process times in pulp bleaching. This method has potential for global use on an industrial scale, although Vuorinen believes that a genuine breakthrough is still five years away. Professor Rojas claimed that wood and nanocellulose are the materials of the century. Nanocellulose has numerous applications, for example as a reinforcement material, antiviral ointments or even food. Despite the difficulties in developing energy-efficient processes for the manufacture of nanocellulose, Rojas makes a good case for it being the material of the future. Professor Sixta presented the Ioncell-F method, which enables the manufacture of textiles from cellulose fibre, as an alternative to cotton. The host of the event wore a Marimekko designer garment made of birch kraft pulp, an excellent example of the opportunities for creating new value-added products from wood-based biomass. Presentations were given by Aalto University’s Executive in Residence Ainomaija Haarla and its Designer in Residence Pirjo Kääriäinen. They emphasised the importance of business development skills and service design in the creation of new forest industry innovations. In addition to the discussion on the wood-based bioeconomy, attention was paid to the bioeconomy opportunities represented by synthetic biology. Professor Markus Linder noted that the cost of manufacturing DNA had fallen exponentially over time. DNA sequencing, which used to cost hundreds of thousands of euros, can now be done for a few hundred. Synthetic cell factories would offer limitless opportunities for made-to-order chemical production. A main topic of discussion during the seminar day was the need to build and develop the forest sector’s innovation ecosystem. Small-scale innovators are finding it difficult to attract venture capitalists interested in helping them to develop their businesses. While the capital is there, it is not being matched up with good ideas and new players in the sector. On the other hand, large companies have ideas on their books which are a mismatch with their current focus areas, but which could form the basis of operations by other actors, such as start-ups. Big companies could also use innovation processes and models based on flexible co-operation to gain new insights and expertise, which would enable them to reposition themselves in the value chain and maximise added value from the bioeconomy. The role of Finland’s bioeconomy is likely to move to centre stage as a new government is formed in the wake of the recent general election.